compact design (mini-size & light weight), easy portable and setup. provide up to 2x15W output. 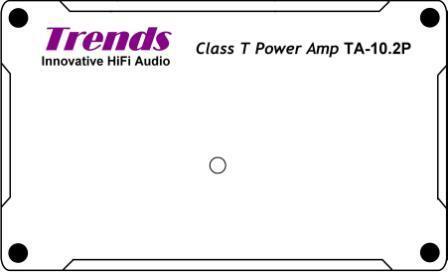 work with Trends PA-10 or other pre-amplifiers with audio source selection. 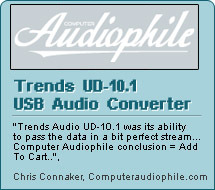 using specially designed audiophile-grade "Trends" MKP capacitors as audio input coupling capacitor. applied the lowest LSR & highest ripple current Rubycon MCZ series tank capacitors. remove the volume pot to minimize distortion. applied 4mm thick aluminum faceplate . re-organized the sockets layout of the back panel which provides a more convenient audio cable and speaker cable connections. an AC adaptor is bundled for continuous power supply. separated amplifier & AC adaptor design to minimize mutual interference and flexible to apply other power sources, e.g. Trends PW-10 PSU or lead-acid battery. 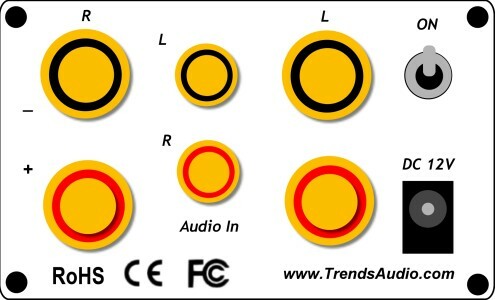 standard audio and speaker sockets used to be compatible with most audiophile quality cables. the DC bias between speaker terminals can be offset (close to ±0mV) by adjusting the potentiometers (factory pre-set). 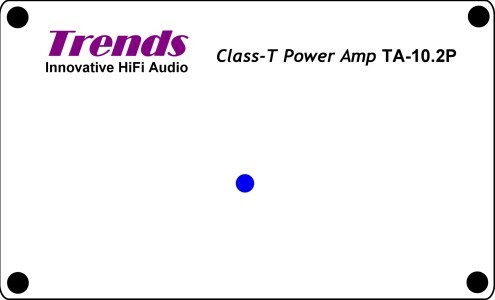 It suppresses the "pop" sound when power on/off and also increase the sound purity. enhanced the chassis with beautiful satin finish and smarter black/white contrast provides not only good-looking, and also provides outstanding shielding capability. Remark: TA-10.2P and TA-10.2P SE use same the body. 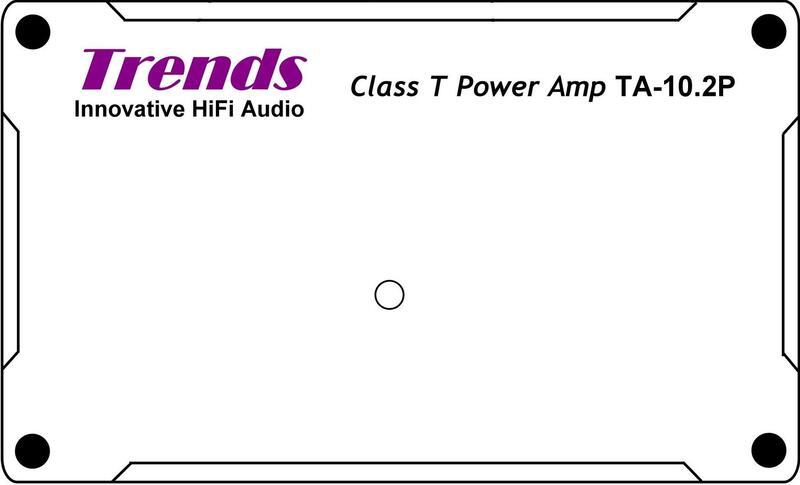 The TA-10.2P SE applies 4A power supply.